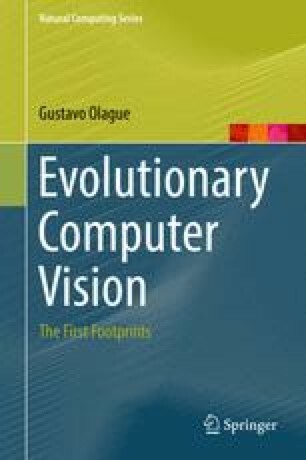 This chapter presents a linear genetic programming approach that solves simultaneously the region selection and feature extraction tasks, which are applicable to common image recognition problems. The method searches for optimal regions of interest, using texture information as its feature space and classification accuracy as the fitness function. Texture is analyzed based on the gray level cooccurrence matrix and classification is carried out by an SVM committee. Results show effective performance compared with previous results using a standard image database.